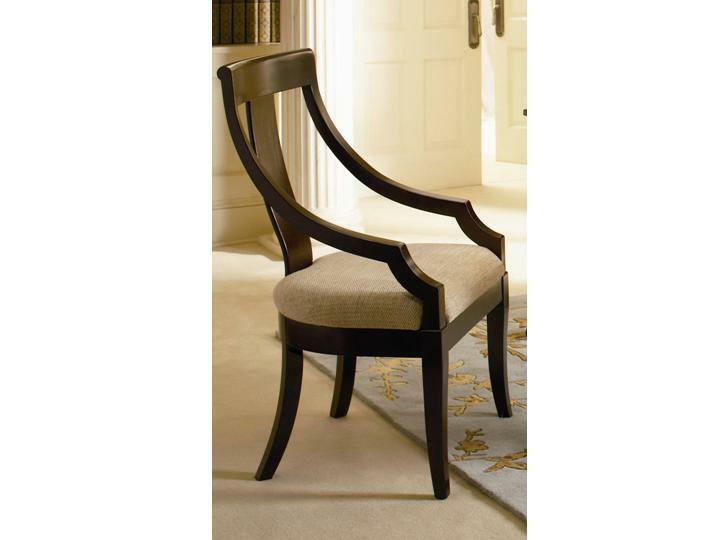 This beautiful dining chair will add a touch of sophistication to your semi-formal dining room. The high vertical splat back is elegantly curved, with sides that slope down to form arms. Sleek tapered square legs support the chair, while a soft fabric covered seat adds comfort and style. In a warm rich Cherry finish, this chair will surely complement your transitional home decor. This sale ends 01-05-2018.